Party Favour or Foul: Legalization of Marijuana will cause Headaches for Residents of Canada. With the looming legalization of Marijuana the relationship between Canada and the United States (U.S) border becomes tricky, especially for Residents who have a stake in the industry. Serious problems may arise when trying to cross the border. Admitting to U.S border patrol any of the following: recreational use, working or investing in the industry, could lead to Canadian residents being barred from entering the U.S indefinitely. 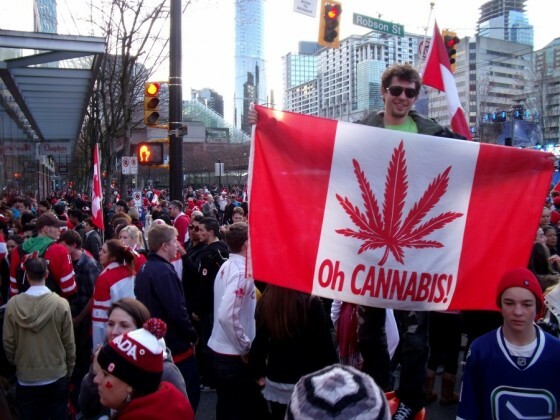 Although Bill C-45 will legalize the recreational use and distribution of Marijuana in Canada. Federally in the U.S it remains illegal. Thus, the border patrols will not allow those who have openly admitted to the use or being part of the industry into the U.S. It is not recommended to lie to the officer, we advise that you refuse to answer questions regarding the topic, which may lead to you not being able to enter the U.S that time, but will ensure that you do not get permanently banned from entering. This is a serious issue for residents of Canada regarding the new legalization. The Canadian government should pressure the U-S government to issue a policy directive exempting employees and investors in Canadian cannabis companies. The legalization of marijuana will create a booming industry and provide opportunity for many Canadians. Residents should remain alert as to what remains illegal and can/will be punishable as a criminal offence. Distribution of marijuana to minors. Breaking any one of the stated points above will result in a criminal charge.